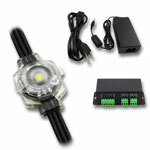 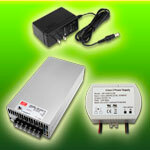 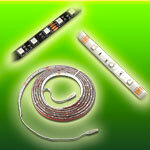 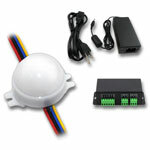 We have a large variety of DMX controllable LED Pixels and LED Modules. 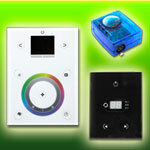 We offer two kits, one strictly for DMX control, and one with DMX control or the ability to use 35 pre-programmed color effects. 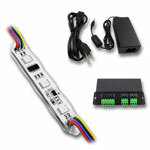 Both kits are fully customizable and ready for use with a DMX 512 system to create amazing LED Pixel Boards, LED Matrix Effects, and much more.